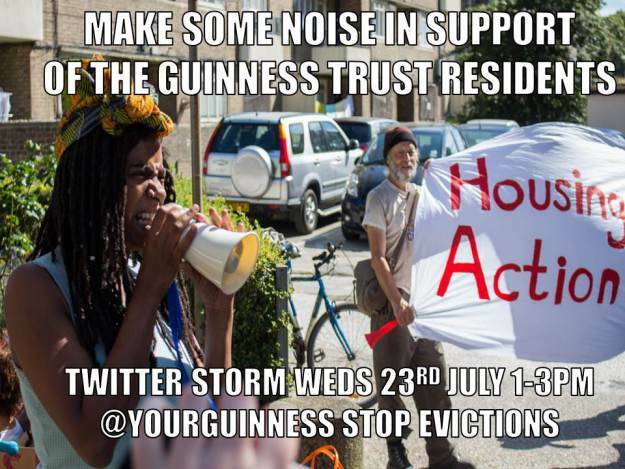 Join Guinness Trust residents’ twitter storm. 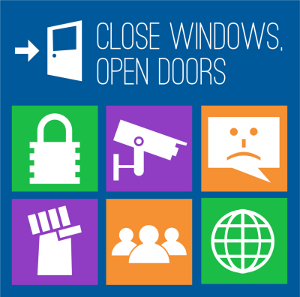 Stop the evictions, local social housing NOW. If you add a full stop (.) at the start of the tweet, it will allow all your followers to see it too. Guinness Trust residents on Assured Shorthold Tenancies (ASTs) on the Loughborough Park estate are facing eviction as their so-called social landlord, Guinness Partnership, has written them out of the regeneration plans. After many years living on the estate and being a part of the local community, AST residents are being evicted, made homeless and forced out of their community. We have written about this previously here, and have held a lively protest on the estate.